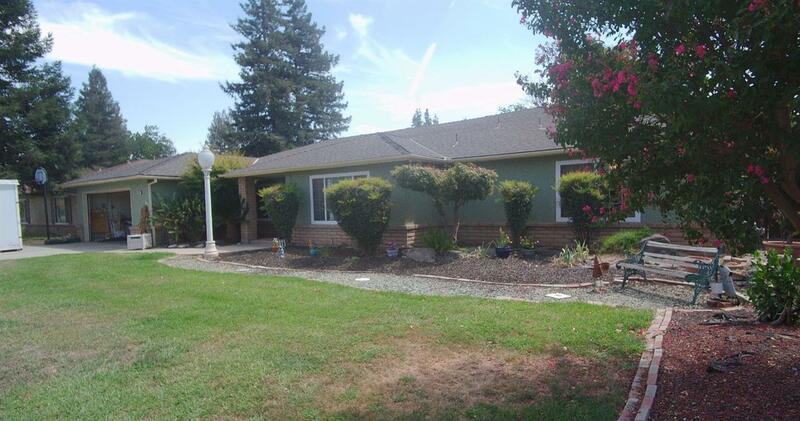 Beautifully landscaped, 3 large bedrooms, 1 1/2 bath ranch style home. Separate family room, living room, and dining room. New upgrades with fresh exterior and some interior paint. Amenities include new microwave, dual drawer dishwasher, in large kitchen with skylight and breakfast nook. Enjoy patio spa and overhead misters. Sprinklers in front yard, 2 water heaters, indoor laundry room and built in hampers in front bathroom and laundry room. New laminate floors in kitchen and front bathroom. Tile in master bath with built in vanity in master bedroom. Freshly shampooed carpets, dual closets in laundry room and garage. Many cabinets to keep everything handy. Bar in living room with sink. Wall to wall hearth fireplace in family room. Cable ready. Orange and lemon trees in large back yard along with large shed. This quiet friendly neighborhood great for entertaining family and friends. Come on by.